Gemology, gemstones, minerals and more. How do you become a gemologist? How do you become a gemologist? Well...you already are one!. Because the definition of gemology is the study of gemstones. And the definition of a gemologist is one who studies gemstones. OK....I know...your question is: How do I become a gemologist.....and make MONEY doing it. Now that, is a different question. In truth, becoming a good gemologist will take you a lifetime. Because the study of gemology covers such a vast field of information that regardless of how much you learn...the next gemologist you meet will know something that you do not. Which will give you the opportunity to learn more, and share more, and on and on in a continual process. Before I go into exactly what it takes to become a gemologist, let me tell you a story that you really, REALLY need to hear. About a young gemologist who got a little bit of information and used it to lose a customer, and to embarrass himself. This young gemologist was working in the jewelry department of the old Sanger-Harris stores in downtown Dallas one afternoon when a customer came into the store with a earring with a colorless gemstone, and wanted to know if the stone was a diamond. The young guy looked at the stone and immediately saw a trigon on the girdle. Now...this young guy was taking his first GIA Diamonds course and had just learned that a trigon would only be found on a natural diamond, and would be connected to the dodecahedral surface of the octahedral crystal formation. And he spent a great deal of time informing the customer about all of the above, being very proud of himself that he was able to share this excellent knowledge about trigons, dodecahedral surfaces and octahedral crystal systems......until the customer interrupted and said: Thank You...and walked out. The problem was...this customer wanted to know if the stone was a real diamond, and wanted to know if this young guy could match it with another diamond. Nothing more. He did not care about the gemological aspects of why or how the answers were obtained. The answer should have been: Yes, and yes, and then sell this customer a matching diamond. Instead the answer was: "Dodecahedral this and trigon that", and the customer walked out the door. And yes, that young guy in the store was me: YourGemologist. The point is, there is no one more dangerous in a jewelry store, or anywhere else, than a young or new gemologist with a little bit of knowledge. It takes time to gain the knowledge, and even more time to learn how to use...or not use..that knowledge. So as you consider the rest of this section, please remember that no one becomes a qualified gemologist by taking some courses in diamond grading or colored gemstone identification. A really qualified gemologist takes years to accomplish. Both in technical knowledge, and in "common sense" as to how to apply that knowledge. With that said, let's move on to the the real issues. First, to become a professional gemologist you need to complete a proper gemological training program from a recognized school. Not just a course or two. I am so tired of people calling themselves "GIA Graduates" simply because they passed one or two GIA courses. 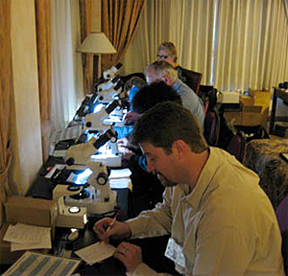 To formally become a professionally trained gemologist you need to pass the requirements to get a diploma in gemology. Such as the GIA Graduate Gemologist, the Fellow of the Gemmological Association of Great Britain, or other qualified diplomas from accredited gemological schools in Canada, Australia, Bangkok, Thailand, etc.. However, it is not required that you earn a gemological diploma to be an active, professional gemologist. Remember, the definition of a "gemologist" is anyone who loves and studies gemstones, so you can be a hobbyist and take gemology courses and never earn a diploma...and you are still a gemologist. For those who are interested in learning more about the available gemology programs, here is an overview of some of the schools offering gemology courses. Most will have links to them located at their icons. The FGA is the world's oldest and (in my opinion) most valued gemological designation. Cost for their program is significantly less than the GIA, although you will have to get your own study specimens and be more motivated to do your own study. 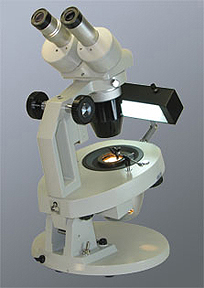 But the FGA will give you the highest level of knowledge and expertise in both the practical and theory of gemology. Both distance study and on-site study available. Strength is the wonderful amount of knowledge offered by their courses. Weakness is the overall lack of proper marketing of their program, and the slow response to student requests by the Gem-A office. US Students have specifically complained about very slow response from their US based tutors in returning graded lessons. If you are going to enroll in the FGA program, ask for a UK based tutor. You won't have problems that way. Cost for both Foundation and Diploma by Distance Education courses leading to the FGA exam is approximately US$7,500.00. The most recognized gemological credential in the Unites States. Offers a wonderful array of services along with on-line teaching and a lot of assistance with study by sending out specimens for grading, etc.... VERY expensive, even for home study. The Graduate Gemologist program costs in excess of US$20,000.00 at the last report I had, which makes this a long term and costly effort. Their strength is that the program is well supported technically and the GG is the most recognized designation in the US. Weaknesses are the exceptionally high cost, and the fact that the GIA does not teach enough theory in my opinion. Leaving some GG's without a firm foundation in some areas. Another draw back on the GG program is the over reliance on expensive gemological equipment. Perhaps because the GIA owns Gem Instruments as a for-profit corporation, but the GIA courses teach students to rely heavily on expensive gemological equipment...all for sale by Gem Instruments. Not a proper match up in my opinion. And I got my first GIA certificate in 1978, and the latest in 1996, so I have been around them quite a few years. The IIJA was originally an Allied Teaching Center for the Gemmological Association of Great Britain, until going independent in 2004. Today the IIJA is a 501(c)3 Non-Profit Education Organization developed to provide world-class quality education programs in gemology and jewelry appraisal, but at prices that anyone interested in gemology can afford. They offer a complete study of gemology via the internet...starting at $195.00 per certified course. This is an unheard of low price for a truly certified program in gemology, making the study affordable to a far wider market than previously dreamed, from professional to hobbyist. The program goes beyond the regular diamonds and colored gemstones. The IIJA is the only gemology school to offer a comprehensive course on the Created and Treated Gemstones. Students can either study one course for personal knowledge, or complete a list of courses to and practical exercises to earn an industry recognized diploma as a Registered Gemologist Appraiser or Registered Gemologist. The courses are conducted totally online with students studying at their own pace and taking timed exams administered by a third party testing facility. One of the best gemology and jewelry appraisal educations available for the money. One important point about the IIJA courses is that they combine the education concepts of the FGA and Graduate Gemologist programs, allowing students to get the best of both worlds for a very small price. Also, due to the easy-to-understand nature of the courses, even GIA and FGA students are enrolled in the ISG as additional study help with their other programs. The IIJA is also the only gemology school in the world that is also a certified Insurance Continuing Education school with their courses certified by the State Departments of Insurance, and accepted around the world. The IIJA has maintained an A+ rating with the Better Business Bureau since 2006 and commands high respect throughout the industry. The IGS is rife with misrepresentation that is not being presented to their members. A major portion of their education program is based around writings of founder: Don Clark. The problem is that Don Clark has been exposed to have faked his gemology credentials. He claimed to have a GIA education. Unfortunately, no where on their website do they show any proof of Don Clark completing any GIA course program. In fact, the GIA Alumni Online Directory specifically lists no one named Don Clark at all. 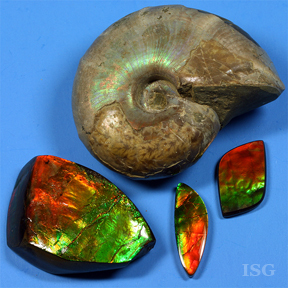 Second, it is well documented that Don Clark claimed to be an "International Master Gemologist". Unfortunately, this title does not exist. It is contrived. Here are links that offer documentation of the above: GIA Alumni Online Directory, About Us from Don Clark of the IGS. In short, the IGS is based on writings of someone who used contrived gemology credentials, and their program is neither recognized or accepted by any professional gemology organization. Further to this, if you read the "About Us" page linked above carefully, in the past the IGS has retained Jeffery Bergman as Vice President. Bergman has been proven to be a part of a cyber-attack organization that helped perpetrate the multi-million dollar Tibet andesine fraud. This is not a real society. If you read the fine print it is operated by one very savvy computer guy with no gemology training. All potential students should be aware of the above when making your decision. This is one of the premier gemology schools in the world not only for the world-class standing of their gemological program, but also for the exceptional work they are doing in the area of gem lab equipment research. Wolf Kuehn is one of the world's most respected gemologists and is leading a team of scientists in developing highly accurate but cost effective advanced gemological tools that will help take this industry into the future. Their work with the GL Gem Spectroscope and GL Gem Raman is the most advanced of its type in the industry, and they are being very successful in developing these instruments to be cost effective to grass roots gemologists. I highly recommend the Canadian Institute of Gemology as one of the finest in the world for both the study of gemology and obtaining some of the finest gemological tools on the market. The DCA has undergone a wonderful transformation since Terry Chandler stepped in as president. This is the program I wish I had access to when I was in the retail jewelry business. This is the most outstanding program for the retail jewelry industry on the market....at any price. The Diamonds Course and Colored Stones Course offers a complete education in gemology and jewelry on the level required for retail jewelry professionals. I recently had the opportunity to review the program courses, and it is one of the few programs that I would like to start for myself just for the excellent level of knowledge that it provides. The Diamonds Course takes the student through all of the steps of how diamonds get from the mines to the retail jewelry stores. And then goes on to provide everything the retail jewelry professional needs to know to provide world class service to the diamond buying consumer. The Colored Gemstone Course gives a complete overview to the world of colored gemstones in such a manner that it allows the retail jeweler to offer a professional and knowledgeable presentation to consumers, while at the same time keeping it on a consumer friendly level of knowledge and understanding. If I ever again own a retail jewelry store, the Diamond Council of America Program is going to be required of every employee. One of the world's foremost gemological organizations located in Bangkok, Thailand. Being located in the heart of one of the world's most important gem producing regions, the AIGS is able to offer gemological training with some of the best trained instructors who have worked directly in the gem producing areas. In fact, some of the top names in the world of gemology today have come from the AIGS. Please contact them for the latest in courses and costs. This French-Canadian gemological institute is one of the premier in the world. Closely allied with the Gem-A in London and the Canadian Gemmological Association, we are fortunate enough to have visitors from the EGM to visit us from time to time. They have a variety of courses available that are all outstanding. I highly recommend Cos Altobelli's book on appraising, and his courses on Jewelry Insurance Appraisal. When I worked with USAA insurance, Cos' book was the handbook I used for communicating jewelry appraisal issues to staff underwriters and adjusters. The AGS training is the top level in quality due to Cos Altobelli's efforts, knowledge, and teaching ability. A first rate program with many decades of proven quality. There are other gemological designations and training available from other organizations., such as the gemological associations in Germany, Spain and China, which are top level organizations. If anyone would like to make contact with these good people please let me know if I can assist. Also, be aware that some titles out there are from well intentioned organizations, but will not give you a complete and proper gemological education that will qualify you as a professionally training gemologist. But the real point is that you cannot consider yourself a properly trained gemologist simply because you took a Diamonds course with the GIA, or the Foundations course with the Gem-A. You need to complete the entire program and pass the examinations to get your diploma. Too many people get a certificate of completion for one course and call themselves "GIA Graduate" when all they did was to get a certificate of completion....not a diploma. You need a diploma to do formal gemological work in the industry. A single course here or there will certainly help you be a better gemologist, but will not qualify you to do formal gemological work in the industry. Now, once you have taken the proper courses and passed your examinations, where do you go from here? First and foremost....DO NOT think for a minute that you are done. I get so tired of graduates of the GIA and other schools who get their diploma and figure they are done with school. If you are a gemologist worth your salt, you will NEVER be finished with school and gemology classes. Because the information you need to know grows so fast that you will need to always be in school in some form or the other. I started my first GIA course in 1978, and am getting ready to continue my equation with my DGA designation with the Gem-A soon...here in 2006! So NEVER stop studying. Now, there are a number of avenues you can take professionally. The most often is to work in a jewelry store. Which is where most of the jobs are. Either in appraising, buying or management. The retail jewelry industry is the heart and soul of the gemology field and ...listen very carefully here...no gemologist worth his or her salt will ever become anything if they do not put in at least 5 years behind a retail sales counter in a retail jewelry store. Why? Because if you do not understand the end selling point of your field, you will never be a good buyer, manager, appraiser, or other type of gemologist. All salary ranges are approximate based on industry publications and research. Wide variations can occur based on geographical location, type of responsibilities, level of knowledge and experience, and other factors. A good gemologist doing selling, appraising, and helping with buying in the US can make in the range of $32,000.00 to $95,000.00 depending on your level of expertise and your experience. Plus...how good of a salesperson you are. The best money in the field is in selling gemstones so put your comfortable shoes on and get out on that sales floor. That is where you real education will be, and where the real money is. However, some people want to become importers or work for a gemstone importer. Here again...you need at least 5 years AFTER you get out of school to know what you are doing. There is nothing more difficult in my book than a fresh GG right out of the GIA. Because they seem to think (as I did) that since they are GG's, that they know everything. The best advice I can give you here is to find a knowledgeable and well established importer and do anything you can to work with them. The salary may be low at first, but the experience and knowledge you get will be priceless. Salaries usually will be in the $27,000.00 range in the US. So be prepared. But the knowledge and experience will be well worth your time if you want to continue in this segment of the industry. Remember...just because you have your FGA or GG does not make you a qualified gemological business person...it makes you a qualified gemologist. And no one is going to pay big money to someone with technical knowledge but little experience. Because you will not have a full understanding of what gemstones are out on the market. 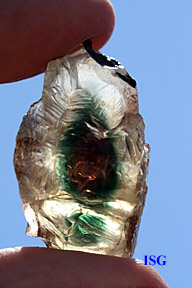 An example is a virtual fight I got into with a new GG regarding my claim to own a piece of transparent turquoise. Seems the GIA did not teach that turquoise ever existed in transparent form, so since the GIA never said it occurred...this new GG was willing to take me to the wall. Obviously, since I have it here on my desk...the debate did not last long. But the good result was a GG who realized that the GIA training is very, very good....but is not the ultimate in gemological knowledge. The point is....a gemologist fresh out of school has far more to learn than what they have learned so far. The really great one's realize this, and take time to learn their trade. The one's who do not want to take the time usually screw so much stuff up that they get kicked to the curb by the industry. Now...appraisers! NEVER....will it be proper for a newly graduated gemologist to become an appraiser. I know because I tried it. And I screwed up so many appraisals over trying to appraise things I knew nothing about, it is a wonder that I am still in this business. Many people continue to do this. It takes a good gemologist to be a good appraiser, but not all good gemologists become good appraisers. Many just get the GG and buy a subscription to The Guide or the Rap Sheet and hang out the shingle. This is neither proper...nor good for consumers or the industry. A good appraiser is someone who has a lot of experience in the gemstone markets and knows the values and qualities of the gemstones. This takes a lot of time and work to gain this experience. Far too many people see the GG beside someone's name and assume that the person is a qualified appraiser. The person may be a qualified gemologist....but this does not make them a qualified appraiser. That is basic concept of becoming a gemologist. It takes time, training, and experience. You will never stop learning, but you need to get some serious experience before you start out on your own. I urge you all to use the links to the schools on this page to get more information. If anyone needs more information on how to contact the various gemological schools in your area please let me know. We welcome your comments, suggestions or information contributions. © Copyright 2017 YourGemologist LLC. All Rights Reserved. Please read the fine print below:The information contained in this website is offered free of charge to anyone wishing to learn more about gemology. The information may be downloaded by any student, consumer, or jeweler for your own personal study and use. None of this site can be downloaded for posting on another website or server for any reason. It will be a violation of the copyright for anyone to copy, duplicate, distribute, and/or re-print this material in any format or any medium without written permission. Nor can anyone post this information on a for-profit website without written permission. That will ruin it for everyone and cause the entire site to be erased and canceled. Please honor this copyright for the good of everyone else.